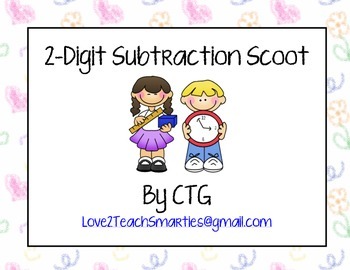 This scoot game does not include regrouping. Every student gets a copy of the answer sheet. Using a clipboard is the easiest way to travel. Place one numbered card on each desk. 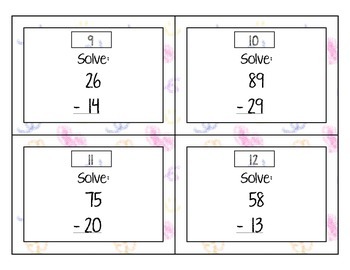 Students will move from desk to desk, reading the problem there and answering it on their answer sheet in the corresponding box. If they are in seat number 1, their answer goes in box number 1. 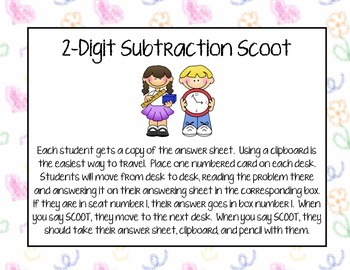 When you say SCOOT, they move to the next desk. 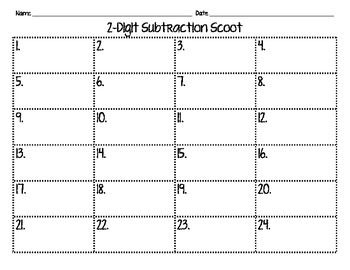 When you say SCOOT, they should take their answer sheet, clipboard, and pencil with them.